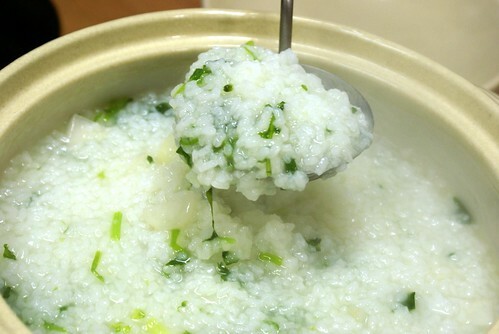 At this time of year, Japanese partake in a traditional dish called Nanakusa Gayu. 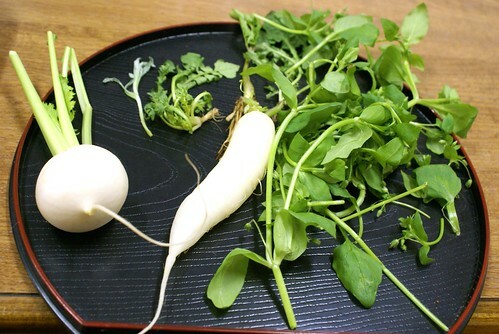 cudweed, hakobe, chickweed, koonitabirako which is also called nipplewort, kabu, turnip and daikon raddish. that the new year is well and truly underway too!